Owl Springs Consulting, LLC (OSC) aims to build culturally competent care and capacity within healthcare facilities that serve the American Indian/Alaskan Native community. Owl Springs Consulting, LLC (OSC) is a firm supporting tribal sovereignty, self-governance and self-determination efforts through the assumption of eligible programs via Self-Governance compacts or Self-Determination contracts authorized under the 1975 Indian Self Determination & Education Assistance Act. Owl Springs Consulting (OSC) LLC is an organization built with a vision of “Tribal Sovereignty through Self-Determination” and a mission of “Building sustainable 638 Healthcare Systems.” OSC believes in supporting Tribes and Tribal Healthcare Systems directly to meet our vision and mission. OSC also believes in assisting outside entities in understanding 638 Healthcare systems and improving business relationships. We know that this will result in improved business partnerships, improved collaborations, increased revenue generation and most important of all, improved healthcare outcomes for the Native American population. Mr. Panana is an experienced and skilled clinician turned administrator. He has been an instrumental force in the stabilization and progression of tribal 638 facilities in New Mexico. In his positions of Health Center Director and Acting CEO, Mr. Panana was the leader in implementing sustainable changes leading to expansion of services for community members. Specifically, Mr. Panana was responsible for contract negotiations, recruitment of key personnel and medical providers, and day to day operations. Among his accolades, Mr. Panana has assisted healthcare facilities in recouping important funding from improperly billed charges and increased 3rd party revenues. He has a unique perspective on clinic flow, but also administrative needs, to build a healthcare facility for generations to come. 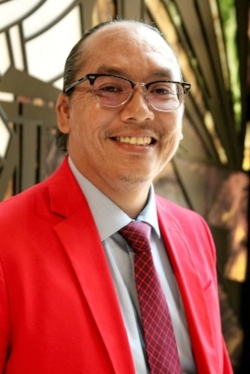 Mr. Panana is also the Albuquerque Area Representative for the CMS Tribal Technical Advisory Group and board member of Native American Professional Parent Resources., Inc. Mr. Panana is the proud recipient of the 2015 Indian Health Service Director’s Award, 2017 National Indian Health Board’s National Impact Award and recipient of the 2018 Native American 40 Under 40 Award (see press release here). Dr. Cynthia E. Guzmán is a licensed psychologist and prescribing psychologist in training who has devoted her career to Native country. She has experience with program design, development, and implementation, particularly with jail diversion treatment programs and primary care/mental health integration. Aside from clinical work and the supervision of other trainees, Dr. Guzmán considers herself a servant leader and enjoys developing community assessments, MOU’s, as well as implementing culturally safe interventions. Dr. Guzmán is a proud member of the American Psychological Association, Society for Indian Psychologists, National Latinx Psychological Association, and the CMS’ Tribal Technical Advisory Group Behavioral Health Subcommittee. She is the proud recipient of the National indian Health Board’s 2018 Regional/Area Impact Award.